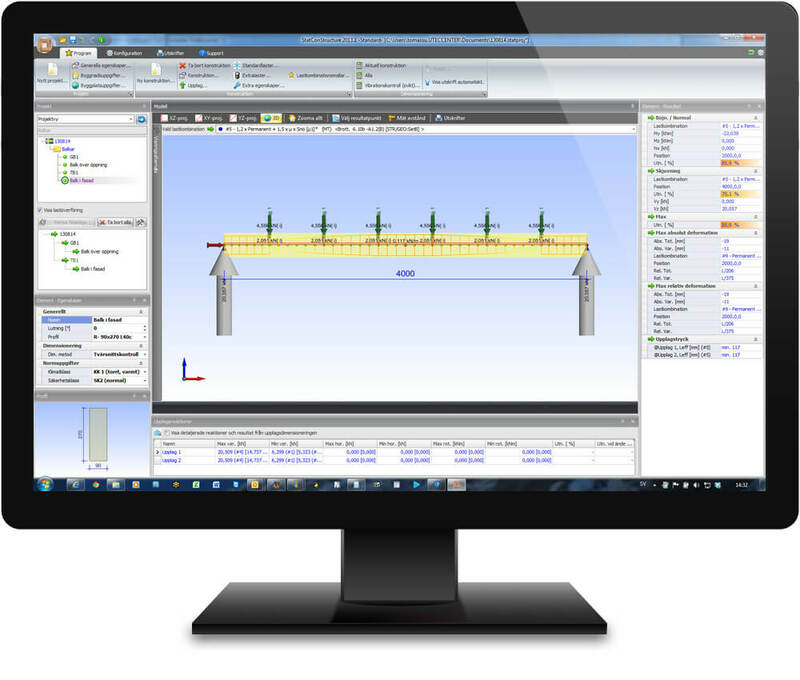 We created Statcon Structure Post&Beam to make it easier to design Eurocode-compliant timber or steel post and beam structures. The system handles construction timber, Kerto, glued laminated timber, steel sections and lightweight I-beams. It’s very fast, and it’s easy to use. The calculations are performed automatically in a process called finite element analysis (FEA). The selected national application is used to verify the design. The result is displayed on screen in graphical form and as a table. Developed using the latest technology, the GUI can be individually customised to improve the way the results are presented and verified. The program has an integrated “design guide” to simplify the data entry process. Statcon Structure was developed to be Eurocode-compliant. The Norwegian and Swedish NAs (National Applications) have been implemented so far. To specify a national application, select NS-EN or SS-EN. You can easily add to the standard range of materials and cross-sections. Enter the known data such as the geographical location, the building dimensions and the building type. The program automatically calculates snow and wind load values and the working load of the selected structure, creating load cases based on the selected national application. 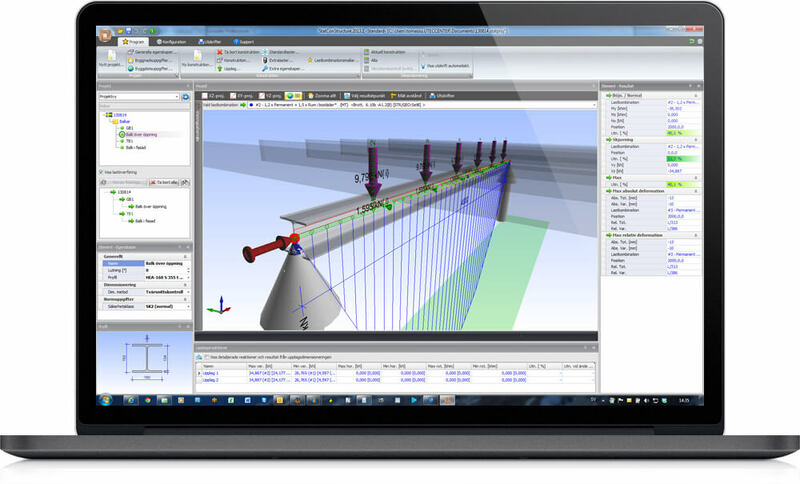 Calculations are performed efficiently and automatically using a process called 3D FEA (Finite Element Analysis). The selected national application is used to verify the design. The “Vibration Check” feature makes it easy to verify the vibration and failure characteristics of timber joist floors. If the bearing pressure is too high, it is easy to verify the reinforcing effect of steel bearing plates. The result appears on screen in graphical form. The utilisation rate is shown in an ascending scale from 0% (green) to 100% (red). There is also a comprehensive print function to document the design process in terms of geometry and sizing. The tree view makes it easy for users to select structures for sizing or printing. It is easy to customise the printouts (calculations, drawings, loads, etc.) for each designed structure.